On average, an office worker receives 121 emails a day. Many of these emails are trivial and don't require immediate attention. While Gmail's automatic spam filters catch plenty of irrelevant emails, some still make their way into your inbox. Fortunately, Gmail's tools aren't limited to just spam filters. The concept of "inbox zero" is a simple one: If you can archive, delete, or simply clear away all emails, you're at inbox zero. From there, you're more productive, as you can deal with important emails as they come in rather than playing catch-up all day. But it's hard to get to inbox zero on your own. 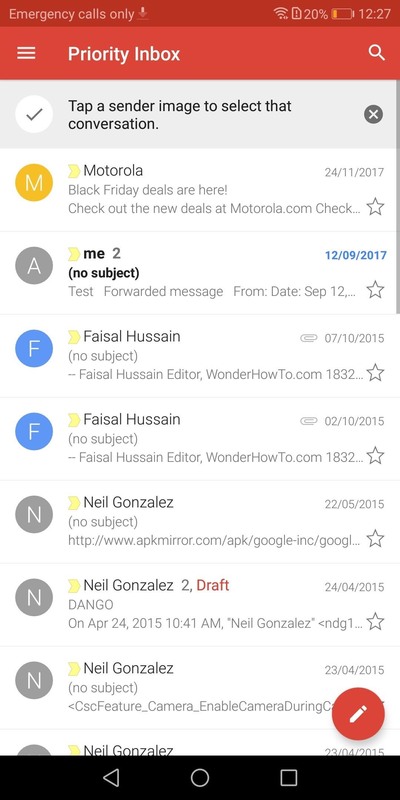 Gmail has several features built-in that make it easier to get to your important emails fast, and thus, achieve inbox zero. After implementing these tips, Gmail will do a better job at filtering out trivial emails and notifying you only when it's important. Additionally, Google's tools learn over time until eventually, you'll never have to deal with irrelevant mail again. Easily the most impactful tool when it comes to filtering emails is Priority Inbox. 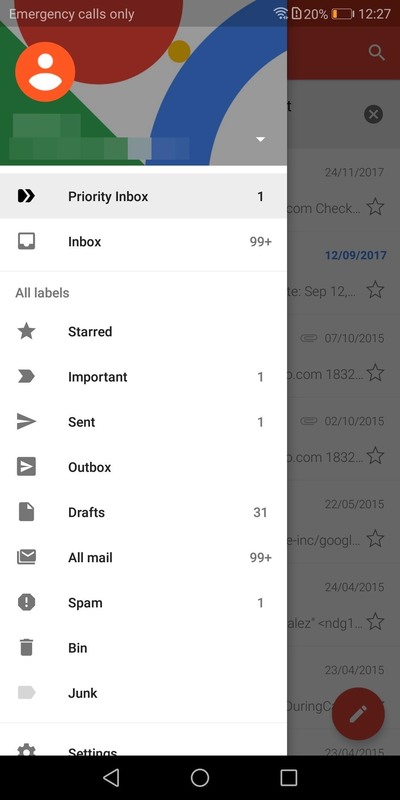 With Priority Inbox, Gmail analyzes your usage and automatically labels emails important based on the data it gathers. Some factors Gmail uses to determine the value of an email are how often you email the recipient, which emails you've previously opened, which emails you've previously replied to, common keywords found within emails you've opened, and which emails you've starred. This information, along with other factors, will determine which emails are marked important and placed in your Priority Inbox. You'll only receive notifications for emails that arrive in the Priority Inbox, and the remaining emails are placed in a general inbox which isn't synced with your mobile device. So to see how to set up Priority Inbox, check out our full guide below. 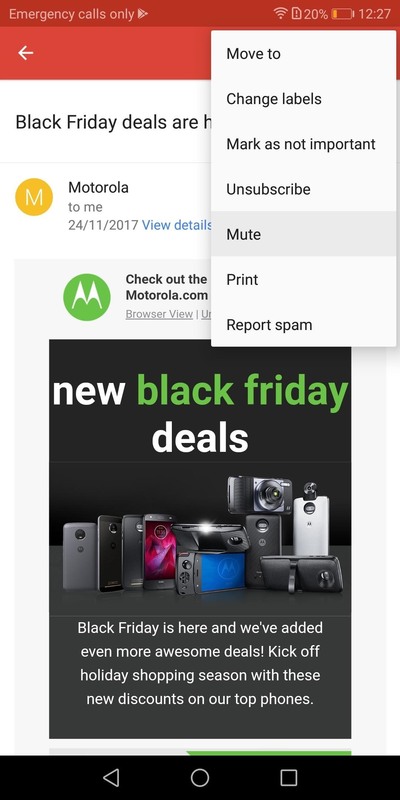 Muting is quick away to get rid emails from a particular person or company. For example, if a company keeps nagging you with advertisements or an ex won't stop emailing you, muting is the perfect solution. When you mute an email, the conversation will be archived. Additionally, any future emails from the same sender will be archived automatically. 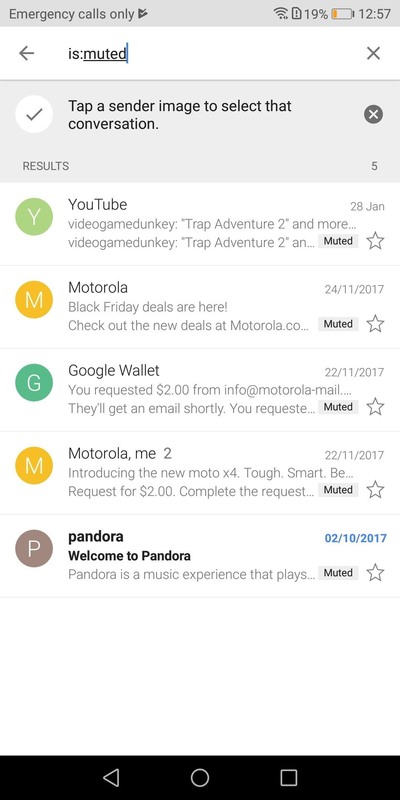 Your smartphone won't receive notifications for archived messages and these emails won't show up in your Priority Inbox. However, you can always access these emails in the All Mail tab. You can quickly locate muted emails by searching for "is:muted." Swipe gestures are both easy to use and easy to implement. While you're in your inbox, swipe left or right on a message and you'll either archive or delete the email. By default, Gmail will archive the email. However, by heading to the link below, you can learn how to change it to delete. Swiping is the fastest way to deal with unwanted emails. With a few swipes, you can get rid of multiple emails, leaving you more time to deal with the emails that matter. If you accidentally delete the wrong email, Gmail even includes an undo button that lets you reverse the action within a small window. 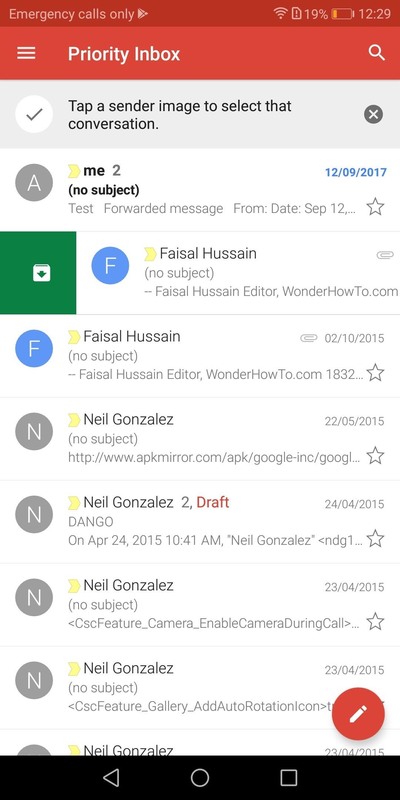 Swipe gestures, when combined with Priority Inbox, will help Gmail improve its filtration of unwanted emails. With enough data, you won't even have to use this tool, as no junk email will make it to your Priority Inbox in the first place. With these tools, you can reduce the time wasted on unnecessary emails. Not only do these tools help reach the satisfying point of inbox zero earlier, but the time you save can be spent on more productive tasks. 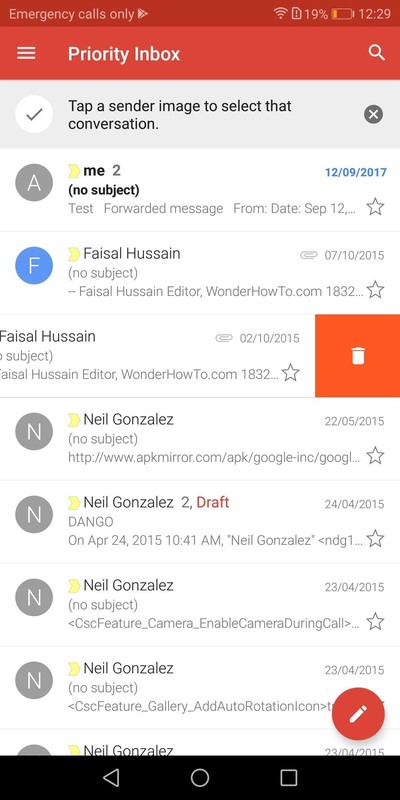 How are you liking your new, cleaner inbox? Let us know in the comment below.